Cambermet is a comprehensive weather information system recording weather conditions in Chichester Harbour, both in real-time and historically. It is particularly useful since its information is derived from instrumentation, which is not shore-based, but on Camber Pile, ( 50° 47'. 84N, 00° 53'. 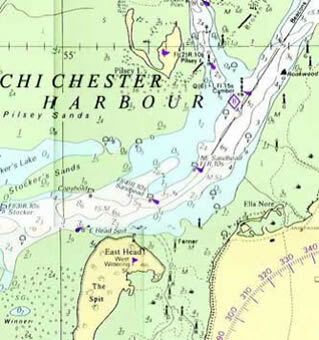 97W ) about half a mile from the nearest land at the entrance to the Thorney Channel.